Does the following describe your students' essays? Their arguments are sound, their language is clear, and they're certainly persuasive...but their writing lacks a certain...pizzazz. A dash of style would go a long way! Sound familiar? If so, your students need this book. More than 200 pages explain 33 rhetorical devices that will spice up your students persuasive writing. Multiple exercises for every device give students the practice they need to maximize their potential. 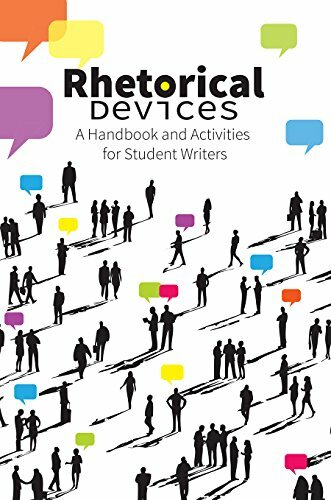 An excellent resource for AP* Language and Composition exam practice as well as Common Core classrooms, Rhetorical Devices is a smorgasbord of tools your students need to write lively arguments that really pack a punch. From the publisher: A Teacher's Edition of Rhetorical Devices is available to educators. Call us toll-free at 800-932-4593 to order.